Make your party filled with vibrant colors with our helium balloon arch. 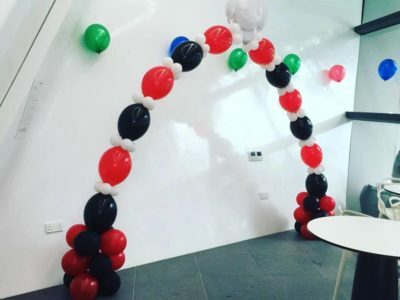 Decorate your party venue with our customised helium balloon arch with your theme or colors. 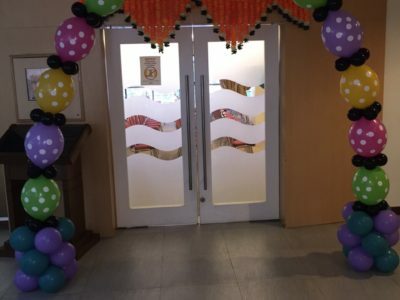 With our customised helium balloon arch, each balloon is inflated with helium and secured using ribbons. A string of helium balloons. We will set-up the balloons between 30 minutes – 1 hour before the event / party timing. What colors do you have for the helium balloon arch? We have a variety of colors available to choose from, contact us to find out more! What is the size of the balloons? When will the balloons be inflated? The balloons will be inflated an hour before delivery. How long does the balloons stay inflated? For booking and inquiry, click here to contact us! For other services - click here! All prices quoted are in Singapore Dollars. Payment are made via cash, cheque or bank transfer. Cheque payment is made payable to E Magical Moment. We will not be responsible for putting up client’s own decoration. We will not be responsible for the tear down of decorations. We will not be liable for cleaning up of any mess created by the activities / party guests. 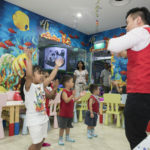 Cool Party Ideas in Singapore! 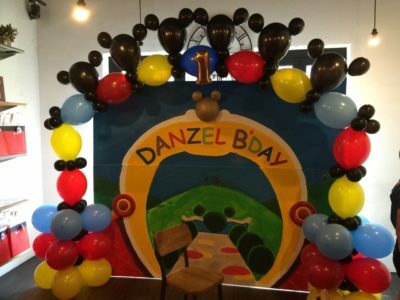 tips to throw a kids birthday party on a budget!